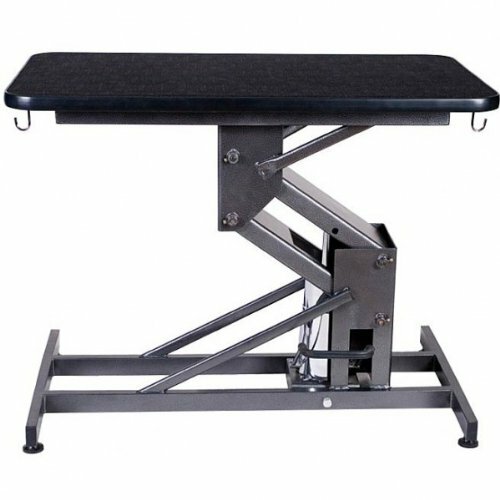 The Z Lift Hydraulic Grooming Table is strongest hydraulic lifting table in the industry, with a capacity of 500 lbs. All ComfortGroom tables utilize a special waterproof high density board with a non skid, easy to clean textured pebble surface and protective vinyl trim along the outside edge. An added bonus is a thin foam layer on the underside of the table top for added comfort. If you have any questions about this product by ComfortGroom, contact us by completing and submitting the form below. If you are looking for a specif part number, please include it with your message.